The second IPBC Korea was held at the JW Marriott, Dondgaemun, Seoul on April 28 2017. 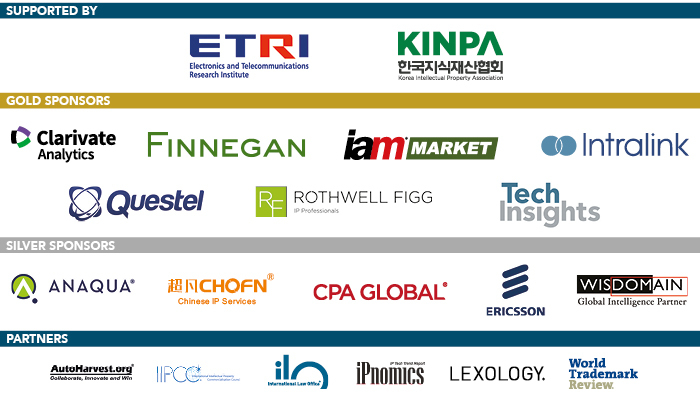 Building on IAM’s extensive relationships with the Korean IP community, IPBC Korea was specifically designed for senior IP executives at the leading Korean industrials and emerging Korean companies and attracted strong attendance from the across the country’s corporate IP community. The IPBC Korea programme took the core themes of IP value creation and corporate IP best practice and discussed these from a Korean standpoint with particular attention on innovation-based growth and international expansion strategies. All sessions were bilingual, with simultaneous Korean-English translations (and vice versa when relevant). As with all IPBCs, particular focus was attached to the networking aspect of the event, with over five hours dedicated to facilitating opportunities for local and international delegates to socialise and do business. If you would like to confirm your interest in attending IPBC Asia in Tokyo from October 29-31 2017, please contact our team at cs_asia@GlobeBMG.com. We hope you will be able to join us in Tokyo in October! IAM hosted two dedicated events back to back: IPBC China in Beijing on Tuesday April 25, and IPBC Korea in Seoul on Friday April 28. This allowed foreign delegates to attend both events, and gain unparalleled access to these key markets, in just one week.